As we see more wave pool night surfing one wonders if surfing in the dark disguises a wave pool’s shortcomings? The Oakley team circa 2013 got all disco and did a “night surf” (jazz hands for emphasis) edit complete with glowing lights long before the current new wave of pools had even dug their first trenches. Marquee team riders Adam Melling and Julian Wilson went wave pool night surfing to throw tail, fins and more through the mostly soft-shouldered pool in Tenerife in the Canary Islands. The session joins a long line of novelty night sessions in the surf media, the first of which was Surfer Magazine’s 1980-something “Night Moves” which occupied several pages in the then-bimonthly mag and was rife with sexual innuendo. In the early 2000s Anglet in Southwest France hosted a full on competition at the local urban beach, hoisting luminous balloons to light up the surf. Competitors followed a ho-hum WSL QS scoring format which was set to the ubiquitous summer “doof doof” electronica of a euro beach rave. 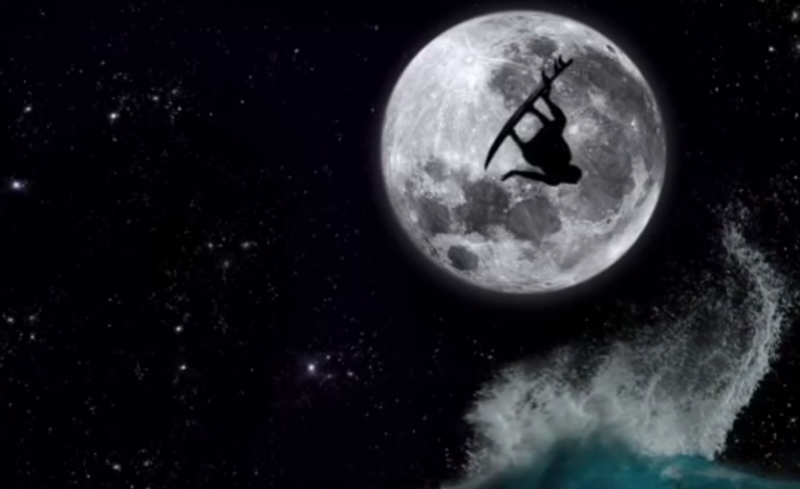 Fast forward to the Oakley crew night surfing at Siam Park in the Canary Islands and we find a pre-top ten Julian Wilson taking flight under a full moon. It’s ironic that a sunglasses company would choose the dark to push it’s best team riders out into the YouTube ether, but the company was expanding at the time to surf wear, so the non-sunglasses focused clip makes perfect sense. Since then night surf novelty has expanded to LED inlay surfboards as well as a big push from Wavegarden who conducted a series of tests at their headquarters in the Basque Country of Spain. The first trial focused on surfing used a state-of-the-art lighting system both around the wave pool and underwater. What’s really cool is that lights underwater create an unearthly glow and give the sensation of surfing a very new feeling. 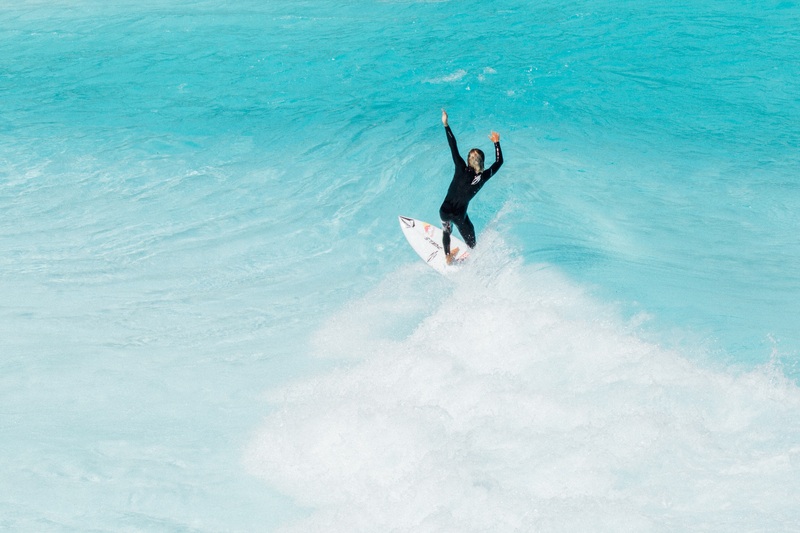 “Lighting the waves from underneath the water is a new concept and key to Wavegarden’s client proposition”, said Wavegarden’s CEO, Josema Odriozola. “We used software programs to modify the light coverage, intensity, and color. We even managed to install a light on the moving wavefoil to illuminate the wave for the entire length of the lagoon”. “It was necessary to experiment with the angle and depth of the lights to optimize the reflection inside the wave. Although we understand that external lights will be required at commercial facilities, the focus of this research was below the waters surface”, Odriozola added. Those invited to the test (party really) included a smitten Vincent Duvignac who raved about wave pool night surfing. “I’ve surfed at night before but this is something completely different”, said Duvignac. “When you surf now seems irrelevant: Natxo (Gonzales) and I surfed until 2am and could have kept going except we became completely surfed out”.